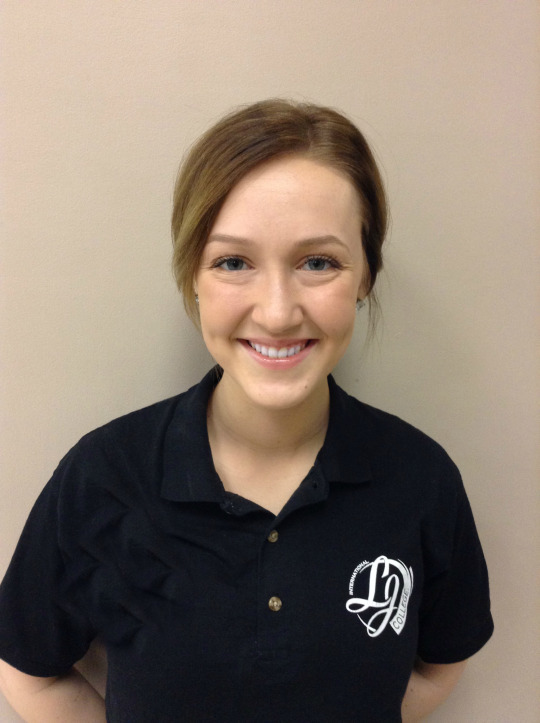 Meet Chelsea Eggleston from La’ James International College – Cedar Falls! Chelsea is a Cosmetology student who absolutely loves helping others feel better & beautiful! 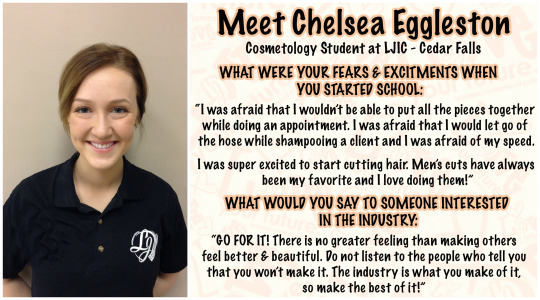 Check out the questions & answers we got from Chelsea regarding her decision to choose the Cosmetology Industry and why she wanted to make La’ James International College her school. What was your first day of school like? What were your fears & excitements when you first started school? “I was afraid that I wouldn’t be able to put all the pieces together while doing an appointment. I was also afraid that I would let go of the hose while shampooing a client and I was afraid of my speed. What was your first appointment & how did it go? What LJIC educator has made the biggest impact on you during your journey & how so? How has LJIC helped bring our your best? What has been your favorite part here at La’ James International College? What would you tell someone who is interested in the industry? What would you tell someone who is interested in coming to LJIC? Thanks so much Chelsea for participating in this week’s LJIC Tues-Timonial!